Cesar Kuberek studied Aeronautical Engineering at the National University of La Plata in Argentina from 1983 to 1985. He continued his education at the Universidad Argentina de la Empresa (Argentine University of Enterprise), in the field of International Business where he obtained his diploma in 1990. 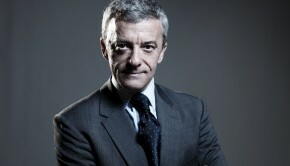 Cesar Kuberek, 47, is the Vice President of Thales Latin America (LATAM), which was founded in 2009. In addition to Thales, he has had extensive experience and success across a wide range of industries, from banking securities, IT and telecommunications to the automobile industry and engineering. An expert in the Latin American market, Cesar Kuberek has also worked in Spain, the United Kingdom, France, and Switzerland. Cesar Kuberek’s professional experience began in 1987, when he joined the firm TECHINT, specialized in industrial engineering and construction. As a Senior Export Finance Analyst, he worked to finance and implement the company’s first major project in Latin America, opening an important new market. 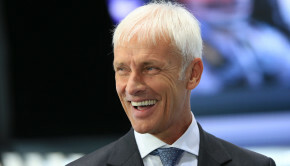 From 1989 to 1993, he continued his experience as the Head of Trading of the Swedish auto-maker Saab Scania in charge of Brazil and Argentina. In 1993, Kuberek entered the telecommunications industry as a Key Account Manager for the group Lynx International. He was responsible for the administration of major corporate accounts in Latin America as well as in Spain. He left Lynx in 1995 to become a Senior Sales Manager for the telecom company Connec Technologies, driving sales from scratch to $20 million in four years. 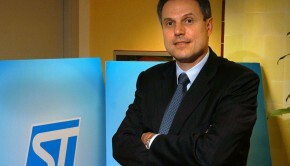 In 1998, Media Net Software, a Spanish high-tech service provider recruited Cesar Kuberek as Professional Services Director for Latin America. In 2000 he moved from Buenos Aires to Madrid to continue his work in Spain. During this period, he was responsible for the business development of IT projects, P&L, planning and directing sales and activities associated with executing projects. He also led his team to a 400% sales increase in less than 24 months. 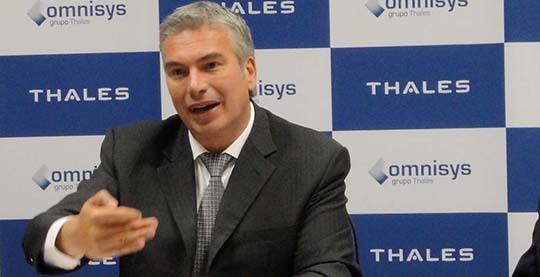 His first tenure at Thales began in 2001, when he was stationed in London as the Head of Sales for Thales Air Systems in Latin America and the Caribbean, focusing on sales of Air Traffic management and Radar equipment. 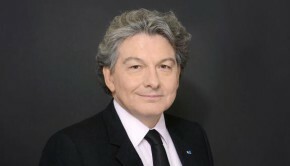 Kuberek pursued his activities from Paris from 2004 to 2007. Cesar Kuberek then became a Business Director for SICPA, a Swiss firm specializing in security solutions. Based in Lausanne, Switzerland, he coordinated a team of 160 employees between Latin America and his firm’s Swiss headquarters. He was a trusted advisor to Central Banks and governments. In 2009, when Thales assembled its branch in Latin America (LATAM), it sought out Kuberek as Vice President. Currently stationed in Brazil, Kuberek also serves as Managing director of Thales International Latin America, and is Director and Chairman of Thales Security Solution and Services in Mexico as well as Thales International Brazil. Since his appointment, he has secured contracts for Metro lines in Panama, Chile, and Brazil, undertaken the world’s most ambitious urban security project in Mexico City and provided sonar and radar equipment to military and civilian firms across South America. With Thales LATAM, Kuberek continues to demonstrate his talent as an international businessman, efficiently and skillfully managing the Latin American operations of the multinational corporation. As an important supplier to militaries and governments, he remains a trusted advisor to top-level organizations around the world. Cesar Kuberek was born in Argentina and holds both Argentine and German nationalities. In addition to his native Spanish, he is fluent in English and Portuguese, and is currently learning French. He is 47 years old, married, with two children.